For a consistent adhesive application we recommend our specialist 2 pack structural adhesive twin cartridge dispensing guns. 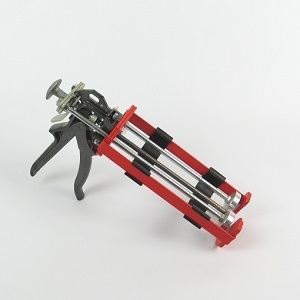 Available for both 400ml and 50ml cartridges, the 400ml version is a high quality, heavy-duty metal framed cartridge gun making application of structural adhesives easy and precise. 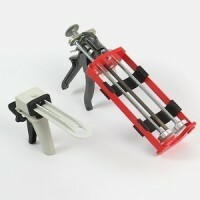 The powerful trigger gives high leverage and pressure to push our most viscous adhesives through the mixing chamber. 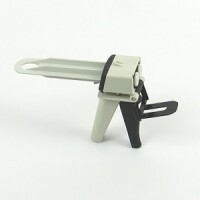 The 50ml version is a lightweight construction twin push-rod made of heavy duty plastic. The dual cartridge is located securely and a ratchet mechanism is used to dispense the 2 parts of adhesive. Again, the pressure and powerful trigger action easily pushes even the most viscous adhesives through the mixing chamber.